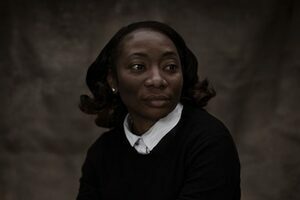 Is a book of short stories written by Melatu Uche Okorie, above, who was born in Nigeria and came to Ireland, with her infant daughter, in 2006 seeking asylum. They spent eight-and-a-half years in direct provision. 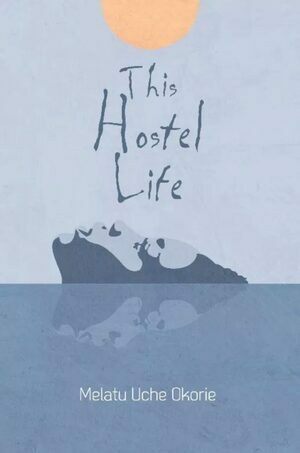 “This Hostel Life is a slim volume made up of three short stories, bookended by an introduction by the author, and by a closing essay by Liam Thornton of the UCD School of Law. The introductory essay features a 2013 diary excerpt written when the author was based in “****** direct provision hostel” and makes for difficult and upsetting reading. Tomorrow, as part of the West Cork Literary Festival, Melatu will read from This Hostel Life and chat to Donal in the Bantry Bookshop at 11.30am. Posted in Misc and tagged Donal O'Keeffe, Melatu Uche Okorie, This Hostel Life at 11:36 am on July 19, 2018 by Bodger. All quiet on the Broadsheet front I see . I am wondering on what grounds exactly did this woman claim asylum? She came here 12 years ago, has the situation that caused her asylum claim been fixed. I am not against anybody trying to make a better life for themselves and without a doubt finding a purpose is a big part of that. I am not taking this line just to be contrarian, there are practical considerations. The population of Nigeria is about 155 million, in comparison, the population of the Republic of Ireland is about 4.8 million. We cannot help them all, in population terms they outnumber is 32 to 1 and we are dealing with other asylum claims from all over the world. The direct provision system here is a cash cow for the legal profession because of endless expensive appeals, or those that own the centres that are rented out by the state, for all those that provide services to those centres, for the social workers the hand in each asylum seekers separately. All of this is paid for by the taxpayer…..
Yeah Starina! It’s bothersome when someone has a different view isn’t it? Still your counter argument there was impressive! No doubt the august and diverse, West Cork literary society would be impressed. Some people use West Cork as part of their address. It’s just County Cork: get over yerselves. There’s west, east and north Cork. No south. I’ve just realised that. Interesting. Having said all that, West Cork really is excellent for literature and festivals and the like. They’re all business down there. That’d be recession busting West Cork. Are all 155 million looking for asylum? If we just let people in willy-nilly, it is quite possible that a significant portion would. Why would all 155 million people want to though? well not saying all will want to but projections show by 2050 Nigeria will have the 3rd largest population in the world. This growth is in no way being matched with public infrastructure or development of any kind that can handle the boom. I think we will are huge numbers leave over the next few decades. The point is simple, we are not able to help the rest of the world. Our public services like health and housing are already broken. How does adding the needs of tens of thousands onto already broken services Make sense? People are rightly complaining about wage disparity, particularly that at the minimum wage level or slightly above it. If all these migrants are allowed to enter the unskilled labour market that problem would only get infinitely worse. I appreciate and understand the point of view of many open borders activists but there are thinking with their hearts and not put their heads. When you import large sections of the Third World into countries in the first world you pulled both countries down. There is a brain drain happening, many of the bright people that can help lift Third World countries out of the gutter they are in want to leave them instead and the open borders fanatics are facilitating them. How much do you earn a year john f? roughly? I will bet my eye teeth that you are not a low income earner so why are you so keen to use them as an excuse? Per head we accepted a higher number of accession state EU citizens than anyone else and that worked out just fine. Or is it that you just don’t like the blacks? So an asylum seeker dares to describe the conditions they endure and all of a sudden we are being invaded by the entire Nigerian population? That’s not good enough. Those people have every right to speak out because the way in which they are being treated is disgraceful. Innocent until proven guilty we say except in these cases it is the other way about. Due process is fine but it is quite clear that there is another agenda at play and it is not one which is supported by the majority of Irish people. West Cork; Kinsale, great seafood, the Regatta, The Blarney Stone, good spot for assassionations, reasonable hurlers and footballers. It sounds a tad like Tyrone (We have Lough Neagh, the sailing end of things there). A playground for the affluent and the idle rich who can afford their right-on musings. You paint with broad brushstrokes. I’m more of a Seurat. 8.5 years is a lot of asylum rejections.